This is the first ever cookbook that I purchased and it is now well over 30 years old. I remember buying it in a bookshop in a neighbouring town for 50 whole Irish pence. I think the main reason I purchased it was because it was a tiny little cookbook. The cover is pretty faded now after all these years but it still remains one of my most treasured cookbooks. 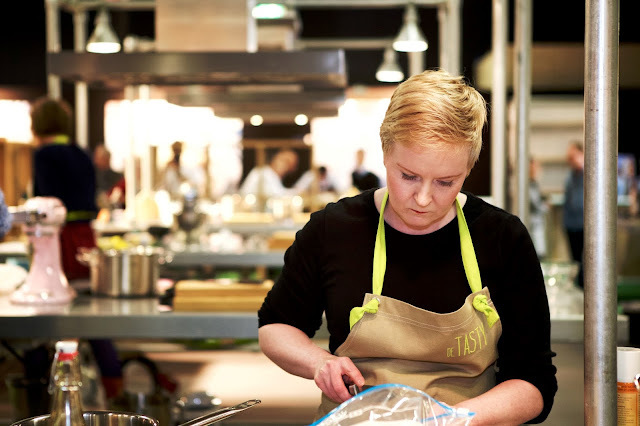 Growing up I wasn't allowed to help much with the cooking or baking in our kitchen, I merely watched from the sidelines and took mental notes. My family like many families back then were very much from the 1950's school of cooking, and when it came to savoury it had to be boiled, grilled or roasted well before it ever made it to the table. The book however does give you an insight into real old school traditional Irish cooking and also regional dishes. 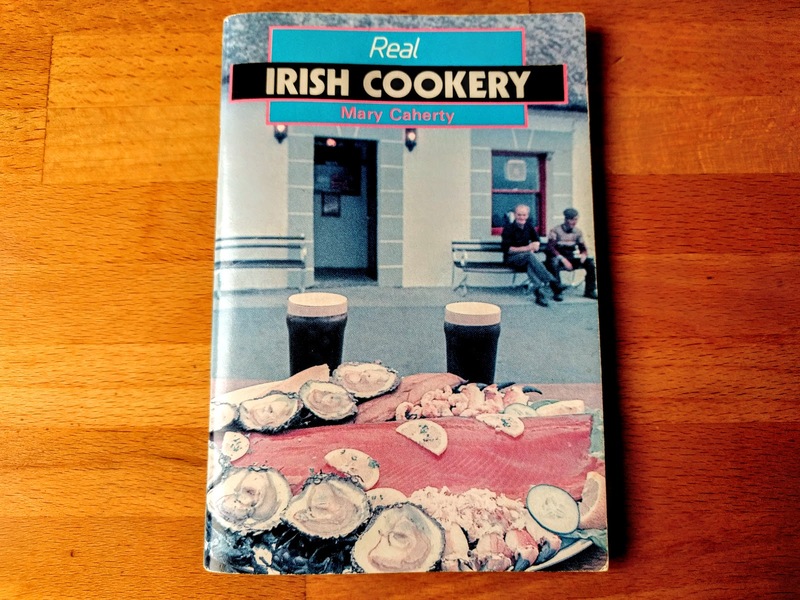 So while you may think that Irish recipes were traditionally soda bread, bacon and cabbage you'll be proved very much wrong with this book. There are many recipes celebrating, trout, salmon, shellfish, goose, duck venison and offal to name but a few. It's a very much no nonsense book, just basic recipes and no pictures. Despite having bought it all those years ago because it looked ''cute'', I have cooked quite a few recipes from it, especially when I started at university and had no idea how to cook. I think subconsciously this book probably lit a culinary fire that burned slowly for many years before really taking off. I love this book for it's simplicity but the recipes are wonderful and give you an idea that there is more to Irish cooking and that traditionally we had a richer culinary heritage than most people think.